If you've grown tired of seeing the same luxury brands lining the valet parking lot, take a spin in the 2011 Jaguar XF. Its clever styling, powerful engine and luxuriously-appointed interior may just win you over. It's comfortable & has good gas mileage on the interstate. It's comfortable, I love that the seats can be heated or cooled, love the built in navigation, love that the side view mirrors light up when somebody is in the blind spot, but dislike immensely that it breaks down so often & is so expensive to fix. I wish that I could take it to Jiffy Lube or Walmart for an oil change just like everybody else. 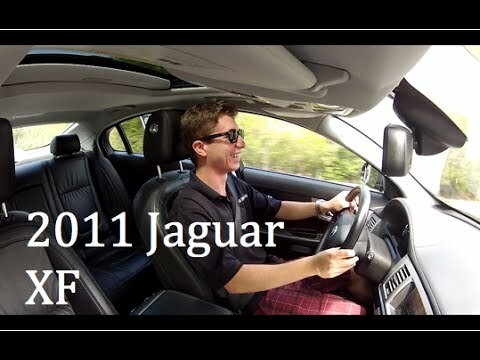 Jaguar 2011 xf sport, rare car that performs excellent! My jaguar has been excellent in terms of reliability. The drive is very quiet and comfortable. The interior "illumination" is also attractive. The sport mode is fun and performs well. It's a JAGUAR! Performance with a touch of luxury. A thrilling ride.